Planning a special event usually takes a lot of time and effort. There is a lot to think about and it is easy to forget something, meaning the whole event ends up ruined. Catering presents perhaps the biggest challenge. However, if you hire the Hog Roast Dereham team you need not worry about the catering we will take care of everything. A hog roast is a spectacular centrepiece. Many people like the theatre of a whole hog turning on a spit. However, we realise it is not for everyone, which is why our chefs can also cook a range of other roasted meats or set up a huge barbecue for you. Vegetarians are not forgotten. 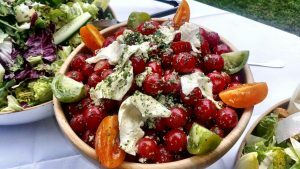 We offer a range of vegetarian party foods as well as salads that are all freshly made from the best local produce. 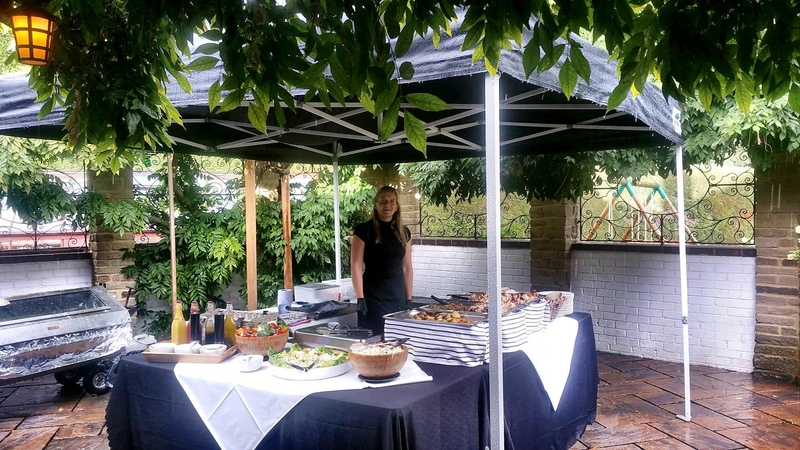 We have a wealth of experience in catering for events of various sizes, menu choices and occasions. We can only recommend that you to look no further than us when arranging your next event or party in the Dereham area! We have worked in the Dereham area for more than ten years and have many customers who use us for all of their special events. The service we provide is excellent. Every event is important to us regardless of how small or big it is. When it comes to a celebration, everyone needs something different, which is why we do far more than just provide hog roasts in Dereham. Our team of experienced chefs can prepare a huge range of other foods. You can choose from our range of set menus or mix and match plates of finger and party foods from the various menus. 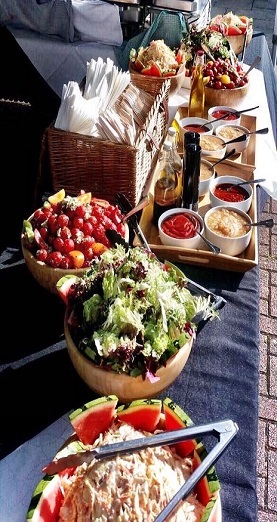 Many of our corporate customers choose the luxury platters for events like product launches. They are also popular for weddings, but others prefer a mix of Chinese or Indian food to accompany their hog roast. One of my most favoured memories of Dereham comes from an event we hosted a couple of months ago. 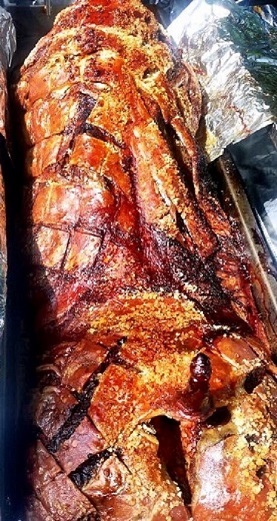 A lovely couple had asked our team at Hog Roast Dereham to provide some delicious food for their wedding reception and we could not be more excited. Settling on one of our most traditional menus, we served up a slowly cooked, free range pig with freshly baked bread rolls and delicious canapes and of course our moreish accompaniments – the apple sauce in particular was a huge hit. On this particular day the sun was shining beautifully down on this special town, however from experience I know full well that this town even manages to look spectacular in the pouring rain! 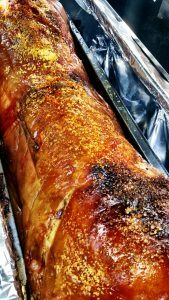 If likewise you are getting married in the Dereham area or are perhaps throwing an event of another kind such as a private party, birthday celebration of corporate event, get in touch with our team here at Hog Roast Dereham. We would absolutely love to be able to be a part of your special occasion. If you want to cook your own hog, we can deliver a hog roaster absolutely anywhere in the Dereham area. It comes with the gas, and, if you want, the hog, all you have to do is to turn it on at the right time. It will leave your guests amazed! If you want great food for your next special event, please call us for a tailored quote. Copyright © 2019 Hog Roast Dereham . All Rights Reserved.